The following is a sponsored guest post from our friends at Illinois Party Bus. There are some great upcoming brunch events to consider checking out in Chicago! Here are four of them coming up in March. 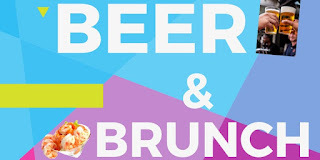 If you need a convenient way to get around town after enjoying a brunch with friends, head over to Illinois Party Bus. 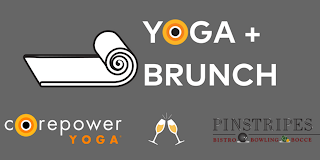 Start your day with yoga and bottomless brunch, along with complimentary mimosas for $5 at this event hosted at Pinstripes. Yoga runs from 10 to 11AM, and brunch is served until 3PM. Bring your own yoga mat and get ready to have some fun! All levels are experience are encouraged to attend. The brunch buffet includes a yogurt bar, crab deviled eggs, beignets, jambalaya, mimosas, shrimp and grits, as well as sweet potato has and french toast. 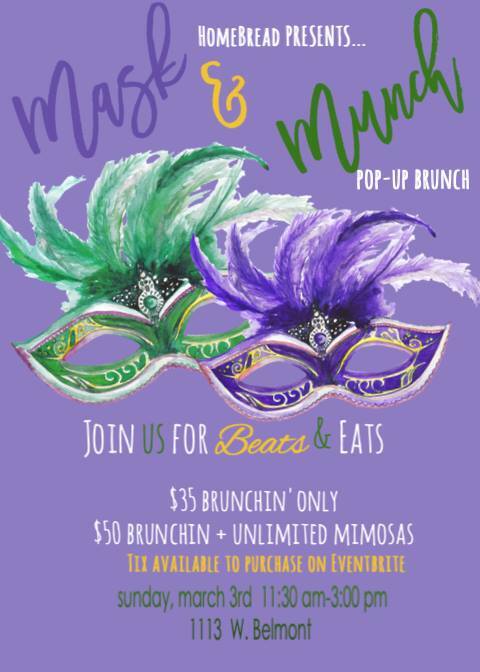 With ticket choices that offer unlimited drinks and a DJ spinning beats, this is sure to be an awesome pop up brunch event. It's $35 for brunch, and $50 for brunch with unlimited drinks. This brunch is unique, because it's a round table discussion. There will be multiple panelists at this engaging discussion. With crafted beers and brunch at the end of the discussion, there's a lot to look forward to at this event. Tickets range from $5 to $10, so it's an affordable option as well. Here is an awesome option for women who are interested in wellness. This brunch and healing workshop focuses on nutritious brunch dishes, mimosas, and personal wellness. There will be a life coach giving an inspirational talk and an awesome Goddess buffet. Tickets are $50 for this event. I was invited to dine at the restaurants mentioned free of charge in exchange for an honest review. As much as I love staying inside the week between Christmas and New Year's, usually snuggled under my down comforter with my dog noisily snoring beside me and a cup of some boozed up hot beverage clasped between my hands, eventually I start to get a little cabin fever. And with this year being unseasonably warm (seriously, Chicago, what the hell? I could go back home to Arizona for 50 degrees in December! ), I'm feeling the itch to get out for a few more meals before 2018 ends. So enjoy this quick roundup of some of my recent favorites for brunch, dinner, and everything in between! This French/Mediterranean inspired addition to Roscoe Village has gotten great buzz ever since it opened earlier this year. Me? I like a bit of non pretentious French cuisine, so I was very interested to check it out. The inside is the perfect kind of cozy without being overly cramped and the perfect kind of vintage without feeling artificial. This isn't the kind of place you're going to find Americanized French staples, like onion soup or coq au vin. Instead, you will find things like house made charcuterie, a decadent fois gras tart (that is so perfectly balanced between sweet and savory that it could easily be an appetizer or a dessert), a perfectly simple steak frites, and a very inventive vegetarian seared pumpkin entree with leeks and fregola. Everything here is incredibly thoughtful and uncomplicated, while demonstrating an immense amount of skill and care. Go any night you can, or check out their special service for New Year's Eve. 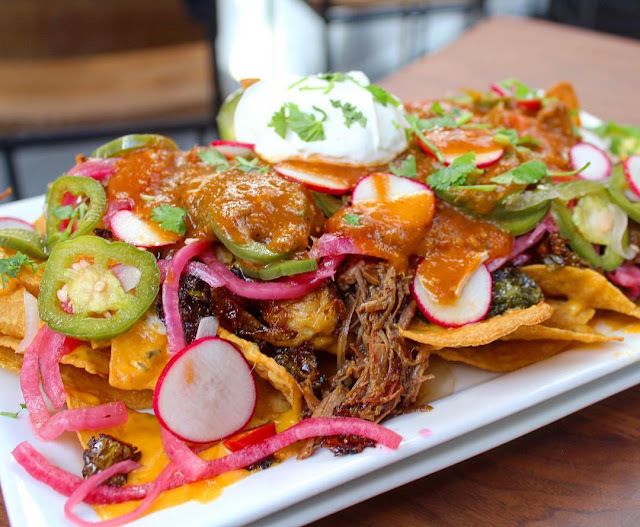 Bobby's recently opened their first location in the city in hopes of replicating their beloved Deerfield location's success. The menu boasts a lot of meat and seafood focused plates as well as handmade pasta dishes, but the vibe is surprisingly casual. The space is open and airy, a rarity in crowded Lincoln Park, and the service is exceptionally friendly and personable. It's may sound ridiculous, but I was impressed right from the start with the bread service, which came with a simple roasted garlic butter that I would have happily bought a bottle of if they had been selling it. The Shrimp Bobby was an excellent take on a scampi, the Steak Tartar was gloriously delicate (I also mixed that delicious garlic butter into it and by God, it was amazing), and the scallops with cauliflower puree and orange zest were a delight. If you want a little taste of everything Bobby's has, order The Mark Miller, which is a platter of sausage, roasted chicken, tender skirt steak, peppers, and onions. For a lighter (by comparison) plate, the Linguini Nduja is also wonderful, with a rich egg yolk sauce, crisped panchetta, sweet onions, and a little kick of heat. Having dined at The Kitchen a few times, I knew to expect only the best. Of course I wasn't disappointed, and despite some minor Instagram drama (don't ask...), I found myself more impressed than ever before with the inventiveness coming out of The Kitchen's kitchen. Highlights for me included a collection of awesome non-alcoholic cocktails (something I'd love to see more of at other restaurants), a succulent southern style Shrimp and Grits with andouille sausage, an earthy Mushroom Toast with red kale and scrambled eggs, an impossibly creamy yogurt panna cotta with blueberries and housemade granola, and poached eggs with green shakshuka, chickpeas, and toast points. They will actually be serving brunch on Boxing Day (December 26th) from 10:00-3:00 and all day New Year's Day, so if any of this sounds good to you, get on that. Also, they will be featuring an exclusive holiday donut flavor (pst... it's chocolate spice with cranberries and candied ginger!) in addition to their already stellar line up of freshly made pastries. Taking family to a relaxed tea service is just the kind of tradition I'd like to add to my already packed list of holiday traditions. After all, who can resist tiny sandwiches and delicate tea cups? Vanille Patisserie recently launched a beautiful tea service at their Lakeview and Hyde Park locations, offered at 12, 2, and 4 Mondays through Thursdays. The service consists of as much Benjamin's Tea as you can drink (my personal favorites include the Forest Berry and the Roasted Almond) accompanied by mini sandwiches, scones with a variety of spreads, freshly baked madeleines, Vanille's signature macarons, mini cupcakes, and other delightfully tiny treats. At just $28 a person, I think this might be one of the best tea service deals in town. Pinkie's up! 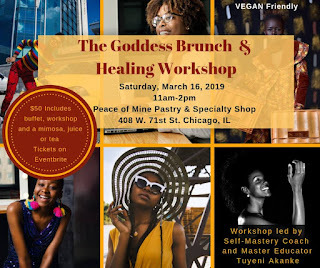 I think we all know that I have very mixed feelings about brunch buffets, but if you're looking for a spot to drink away your holiday stress with a group of fun loving friends, this might be the place for you. Especially if you have a sweet tooth! The dessert table at Parlay is a little overwhelming with it's donut wall, platters of cereal treats, and legions of layered pudding cups. Fresh pizzas and chaffing dishes with various savory dishes help to balance out the glucose, but I'm tempted to tell you to skip them all together and just go in on the sweets. Calories don't count in December, after all. $50 gets you access to all the food as well as bottomless mimosas in a variety of flavors, but if you STILL haven't uped your insulin levels enough, there's the brunch cocktail menu that features giggle inducing large format cocktails, like the Scumdilyuptious served in a gumball machine with rubber ducky floats, or the Mega Mimosa and the Mega Mule; giant sized versions of the classic cocktails that are perfect for using as selfie props. I received free product from Nielsen Massey in order to facilitate the writing of this post. Christmas time and baking are pretty synonymous. Who thinks of Christmas time and doesn't conjure up memories of delicately iced sugar cookies, warm gingerbread, or boozy fruit cake? Sometimes on wintery weekends, I start feeling the impulse to just get up a bake. It keeps my hands busy, it keeps me warm, and it gives me something to do while binging Great British Baking Show for hours on end. Well, one of these impulses over took me this past weekend, and it resulted in something I'm actually pretty proud of. I had a vision, you see. It was of a cake my mom made once, long ago. A sort of yellow sheet cake with icicle-like drips of red and green running through the slices. I don't remember how old I was when she made it, nor do I remember how many times she made it. But the memory of those magically colored squares of cake popped into my head and I decided I wanted to make a Christmas Poke Cake of my own. Now, because I can't do anything the easy way, I realized I was going to have to improvise a little. Nearly every recipe I found for poke cakes called for boxed cake mix for some reason. Does no one make their own cake mix anymore? I don't know about you, but I like begin able to control the salt levels and types of flour I'm using for my baking recipes. I also didn't want to make a sheet cake because... well... I don't really know why I didn't want to make a sheet cake. So I decided to make it a bundt cake instead. Because bundt cakes are prettier. And more festive. Lastly, I decided not to use pre-flavored gelatin. This was mostly down to the fact that red and green gelatin look great, but don't exactly make a very Christmas-y flavor combo (but if lime and cherry are your idea of Christmas flavors, I'm not judging). For my Christmas Poke Cake, I wanted to highlight a trio of the best flavorings on earth: Madagascar Bourbon Pure Vanilla Extract, Pure Almond Extract and Pure Peppermint Extract from Nielsen-Massey Vanillas. I've been working with Nielsen-Massey Vanilla's extracts for many years now and it would be a horror to open my cabinet and not find them. It's so great that a family owned company from right here is Illinois has become world renowned for producing such excellent products (seriously, you can even spot their bottles on the contestant's stations in Great British Baking Show!). Obviously, these three extracts in particular play an important role in Christmas baking, which is why they have bundled them all together for super convenient baking supply shopping. The Nielsen-Massey Vanillas Holiday Flavors Bundle is available exclusively on Amazon in 2 oz and 4 oz options. I started off by using the basic pound cake recipe from Nielsen-Massey Vanilla's website. The only modification I made was to not use the almond extract in the batter. I baked the cake in a bundt cake pan, then let it cool. Once the cake was at room temperature, I used a wooden skewer to create holes down the center and sides of the cake. For the first syrup, I brought 1 cup of water, 1 cup of sugar,and 1 packet of gelatin to a simmer. Once everything was dissolved, I removed the mixed from the heat and added a few drops of red food coloring and 2 teaspoons of the Peppermint extract. I did the same for the second syrup, except with green food coloring and 1 tablespoon of the almond extract. Now you have to work kind of quickly with this next step. I used plastic pipettes to inject the syrups into the guide holes I'd created with the wooden skewer, making sure the syrup got at least halfway down into the cake. I did one half of the cake with the peppermint syrup and one half with the almond. Once all the holes had been injected, I carefully spooned what was left of the syrup over the top of the cake, making sure the whole top and sides were coated. This will create not only a wash of color around the edges of each slice, but will help to seal the moisture inside your cake and keep it from drying out. Once I was ready to serve my masterpiece, I covered the whole thing in a dusting of powdered sugar and sliced away! So what are your favorite holiday baking projects? Head on over to my Instagram page and look for the post with the picture of my cake, tell me your must have holiday goodies, and you will have a chance to win a Nielsen-Massey Vanillas Holiday Flavor Bundle of your own! And for more great baking ideas, make sure to follow the hashtag #NiesenMasseyInspires across social media.